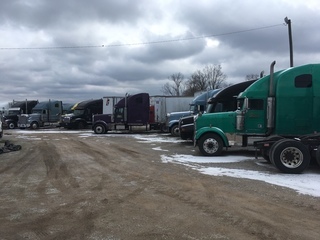 (24) Semi Tractors , up to 2006 models, (21) semi trailers, up to 2003 models, being Fruehauf, Strick, Dorsey, Utility, Great Dane, (2) Reefers, 1989 IH 4700 bucket truck; several new fleet and trailer parts; 427 & 460 auto blocks; Coats tire changer and balancer; sev. 12.7 liter blocks, heads, pistons,bell housings, cranks, and other eng. parts; shop tools; Full listing coming soon ! CONSIGNMENTS WELCOME UPON PRIOR APPROVAL!